EDIT: The response was amazing! Thank you all that has joined me in this journey so far! I'll be closing off invitations to the group for now to prevent it from inflating. I would like the guys inside to really get to know each other as a group before making it any bigger. Until then, you can always hit me up for a chat. I'm open on discord. Cheers! "Artists cannot create in a vacuum"
Oughta be one of the greatest truth (for me) when it comes to the journey of art improvement. So what better way than to come together and create an (yet another) art community in discord! Shoot me a DM @ Inkytophat #2516 and we can make human relations wow and discuss more on the concept. This group is really experimental and it'll be really rough and dirty and a lack of clarity at the get go. But with the gr8 peeps that do come aboard, I hope we can create something that really resonates with us. Hey at least we got to make some art friends along the way amirite? Last edited by Inkey on Mon Feb 25, 2019 11:23 am, edited 3 times in total. Woah, this sounds like a quality thing. Too bad I don't have Discord, I guess I'll be part of the resistance against the takeover. fi_le wrote: Woah, this sounds like a quality thing. Too bad I don't have Discord, I guess I'll be part of the resistance against the takeover. Hey it's you! This thread can totally serve as a base point for discussions, though having a discord does make things easier to be coordinated. Especially when we do surprise stream/draw pile sessions. For the time being I'll just watch and ponder, good luck with your project of course. If you do some kind of event it probably wouldn't be a bad idea to post in here! Thanks a lot File! I'll sneak you onboard someday. 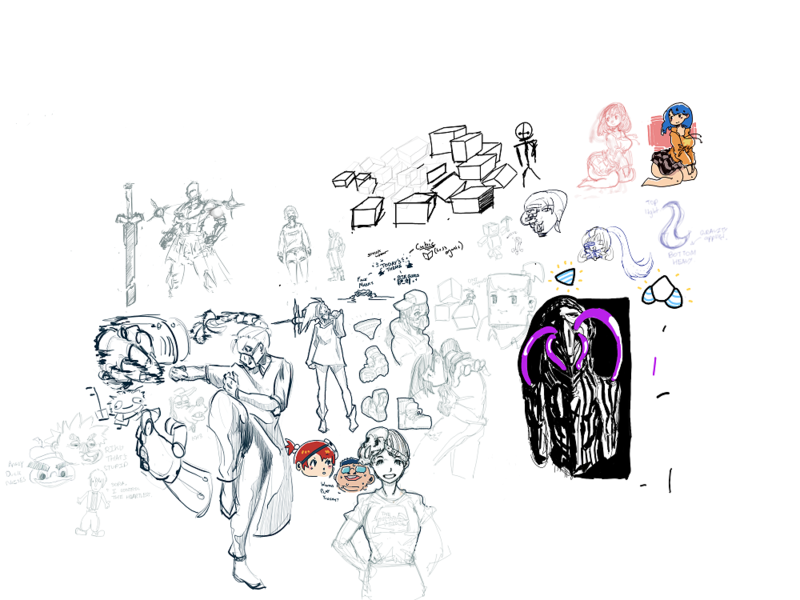 We did a drawpile session today! 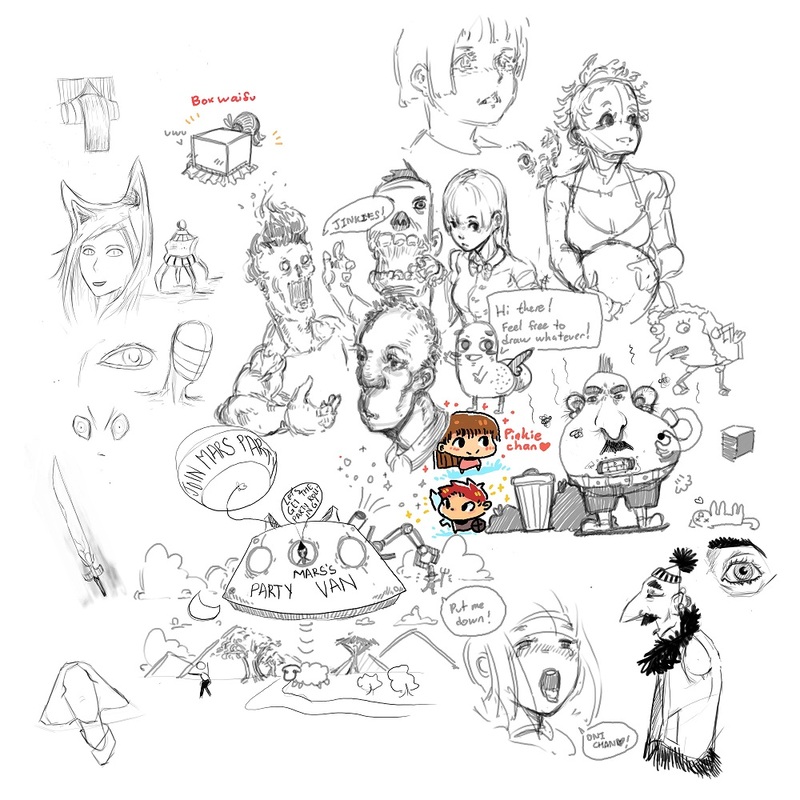 Was tons of fun doodling with the doods on the same canvas. We're still looking for members who are interested!